Prime Minister Narendra Modi's note ban impacted the Indian economy massively in the fourth quarter of Financial Year 2016-17, bringing down its growth in terms of gross value added (GVA) from 8.7% in the same period last year to 5.6%. India's full year GVA growth declined from 7.9% in FY 2015-16 to 6.6% in FY 2016-17. This means India's growth was less than China's (6.7%) in 2016-17. The construction sector, which employs the largest number of people after agriculture, was the worst hit during 2016-17, largely because of demonetisation, posting a GVA growth of just 1.7%. The corresponding figure of 5% the previous year. In the January to March quarter of 2016-17, the construction sector posted a negative growth of -3.7%. Growth in financial, real estate & professional services also fell to 5.7% in 2016-17, as against 10.8% in the previous financial year. Trade, hotels, transport, communication and services related to broadcasting grew by 7.8%, a fall from 10.5%. Manufacturing growth dropped from 10.8% the previous year to 7.9% in 2016-17. Mining and quarrying activity in the country had a stunning drop – it registered a mere 1.8% growth in 2016-17, as against 10.5% the previous year. Amid all this doom and gloom spread by demonetisation, one sector that bucked the trend, against experts prophecies, was agriculture. It grew by 4.9% in 2016-17, as against a meagre growth of 0.7% in the previous year. 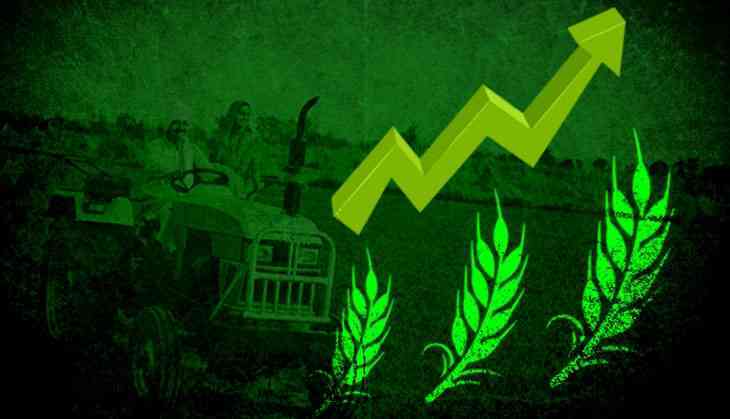 At the time of demonetisation, critics had warned of a massive fall in agricultural output due to the cash crunch in the economy owing to the demonetisation of 86% of India's currency notes. But a 4.9% growth is the best since 2010-11, when the sector had posted an impressive leap of 7%.